At Energy & Utility Skills we do something extraordinary. Together, we help employers maintain a skilled workforce to safeguard the future health, safety and prosperity of every person and business in the UK. If you share our passion for making a positive difference to this ever-evolving and critically important sector, we invite you to explore what life is like at Energy & Utility Skills and the opportunities we have for you to join our team. Together, we can create an organisation that we can be proud of. Our core values are fundamental to everything we do. We believe that every one of our colleagues has the talent and ambition to drive our organisation forward. We are therefore committed to helping our colleagues realise their potential by offering many exciting and challenging opportunities. 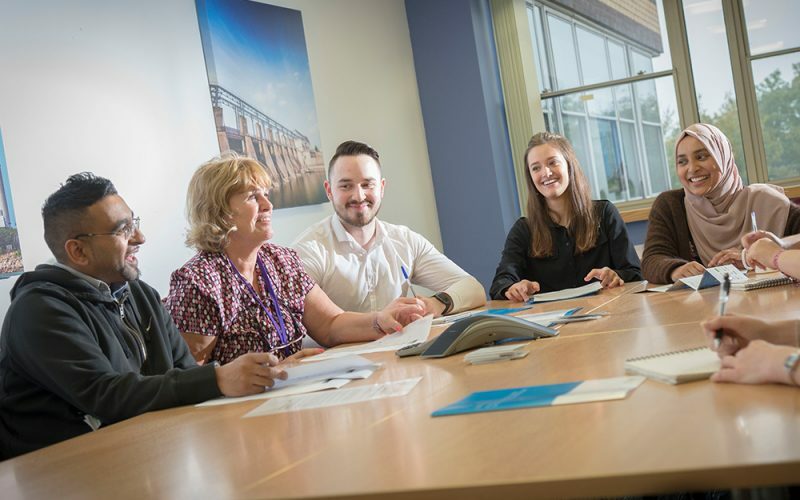 We recognise that our success depends on us building a positive and enjoyable working environment which encourages collaboration, professional development and where employees feel valued and supported. In working with us, you can be confident that you’ll have every opportunity to make a positive difference and that your contributions will be recognised and fairly rewarded. Nick Ellins, Chief Executive of Energy & Utility Skills, explains why the people, the place and the purpose makes this a great place to work. Our vision determines our strategic direction and also reminds us all of why we do what we do and the value we add to the energy and utilities sector. Our Vision: Making excellence the standard for the energy and utilities sector through trusted partnerships. In creating a business we can be proud of, we understand that ‘what we achieve’ and ‘how we work together to achieve our goals’ are of equal importance. Our three values of Together, Being Credible and Making a Positive Difference reflect who we are and how we do things. Find out more about our People, Place, Purpose and view our current vacancies.